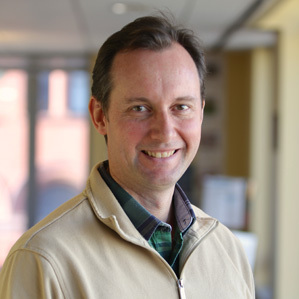 In January, Rainforest Alliance announced it had hired Nigel Sizer as its new President. Sizer previously headed up World Resources Institute’s Global Forest Watch, a forest monitoring platform. Given that background, it is unsurprising that Sizer is embracing technology in his new leadership role at Rainforest Alliance. In January, Rainforest Alliance, one of the world’s most influential environmental groups for its work in developing eco-certification as a mechanism for raising social and environmental standards for commodity production, announced it had hired Nigel Sizer as its new President. Sizer previously headed up World Resources Institute’s Global Forest Watch, a forest monitoring platform that has radically improved transparency around forest management and use, deforestation, and commodity production. Before that, he worked for years on forest ecology and conservation, including extended stints in Africa, the Amazon, and Indonesia. Given that background, it is unsurprising that Sizer is embracing technology in his new leadership role at Rainforest Alliance. In an International Forest Day interview with Mongabay, Sizer said that technology like Global Forest Watch will boost the effectiveness of certification. “We do expect to embrace technology far more. For example, Global Forest Watch can provide better quality assurance for companies and reduce the costs of providing those services,” he told Mongabay. But while monitoring gives companies a far better understanding of how the commodities they source are being produced, other tools are needed to support the transition toward greener consumption. For example, most “zero deforestation” policies being adopted by companies include labor and social safeguards that aren’t captured by satellite images. Certification offers an effectiveness mechanism for gauging progress on these fronts, he said. Certification involves more than just big business however. Producers and consumers are also part of the equation. Accordingly, another major priority for Rainforest Alliance is ensuring smallholders reap the benefits of certification systems and consumers understand what goes into the products they buy. Sizer noted that payments for ecosystem services could be a supplementary mechanism for encouraging smallholders to adopt more sustainable practices especially in landscapes where commodities are produced. Mongabay: World Resources Institute operates in a different part of the conservation landscape than Rainforest Alliance. 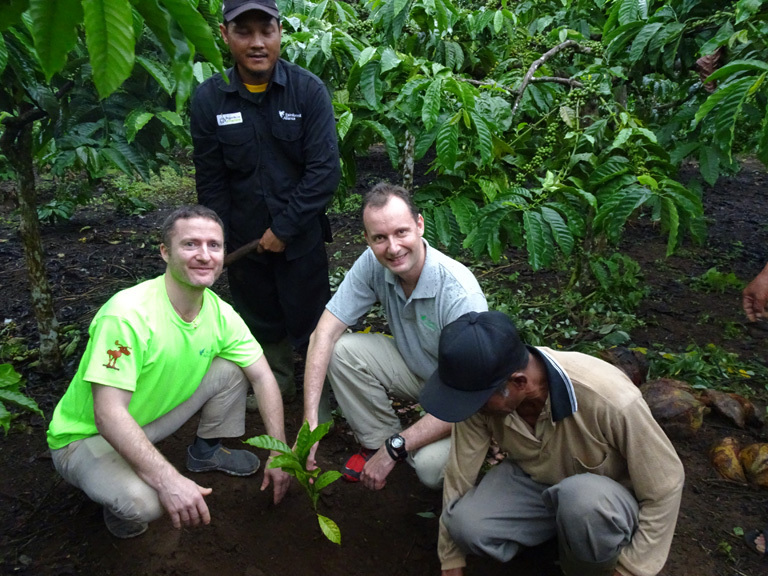 Will Rainforest Alliance evolve in different directions now that you are on board? Nigel Sizer: The core work of Rainforest Alliance is strong and solid and likely to continue. Broadly, we have two main areas of work. We are perhaps best known for certification and third party auditing under the Sustainable Agriculture Network (SAN) and the Forest Stewardship Council (FSC). But that represents less than 50 percent of our budget. Our big area is project work across landscapes. Sometimes this work is linked with certification, but often it’s not. In terms of where we’re headed, I expect us to become more ambitious about the scale of our work and scope of our partnerships, especially in initiatives tied to specific commodities like coffee, cocoa, tea, tropical fruits, palm oil, and timber. In some ways, I expect us to take a more focused look at the certification side, leveraging technology to lower costs and help increase efficiency. We may also do more strategic advisory work with companies, which is of course separate from our auditing work, since we can’t advise someone we’re auditing. The goal with this work is to identify and develop pathways toward sustainability for companies that are more practical and ensure companies increase their commitments to sustainability. There will be a big push to bring in cutting-edge technology. Mongabay: Given your leadership role in developing Global Forest Watch, WRI must have been sad to see you go. Do you expect there to be greater collaboration between WRI and Rainforest Alliance going forward? Nigel Sizer: All of WRI’s forest work is relevant to Rainforest Alliance’s work, so there are broad opportunities for partnership. For example, WRI’s Forest Legality Alliance (FLA) is very involved in supply chain compliance work. And Rainforest Alliance’s work is supportive of the Global Restoration Initiative. Global Forest Watch facilitates greater accountability by increasing transparency around forest use and management. Mongabay: Will be see more data from Rainforest Alliance partners on Global Forest Watch? Nigel Sizer: I very much hope so. This depends on FSC and SAN. We don’t make those decisions, but we contribute to the processes. We do expect to embrace technology far more. For example, Global Forest Watch can provide better quality assurance for companies and reduce the costs of providing those services, including the cost of audits. Global Forest Watch map showing tree plantations by species, including oil palm, fruit, rubber, and wood fiber. Courtesy of WRI. Mongabay: Zero deforestation commitments have taken the world by storm in recent years. How does Rainforest Alliance’s work, and certification more generally, fit into that movement? Nigel Sizer: We’re working with a range of partners including TNC and WRI to develop an accountability framework. Tools like Global Forest Watch help monitor deforestation, but these zero deforestation policies are really a whole package of commitments that go beyond zero deforestation, for example, how do you monitor progress on social and labor issues? There’s a danger that as more companies make these commitments that there won’t be sufficient independent oversight on policies are actually being implemented and whether they are effective. We have a lot of experience that’s relevant to this issue. Certification or related audit expertise can be particularly useful in helping companies monitor progress. Mongabay: Ecotourism has often been held up as a potential less-damaging alternative to land-clearing. Will Rainforest Alliance continue its work in that area? Nigel Sizer: Our ecotourism work is continuing, although this is much smaller than our commodity work. Ecotourism could fit nicely where we’re engaged in landscape-level initiatives to support more sustainable pathways toward development. Most of the expansion of our certification work will be oriented toward the commodity sector. 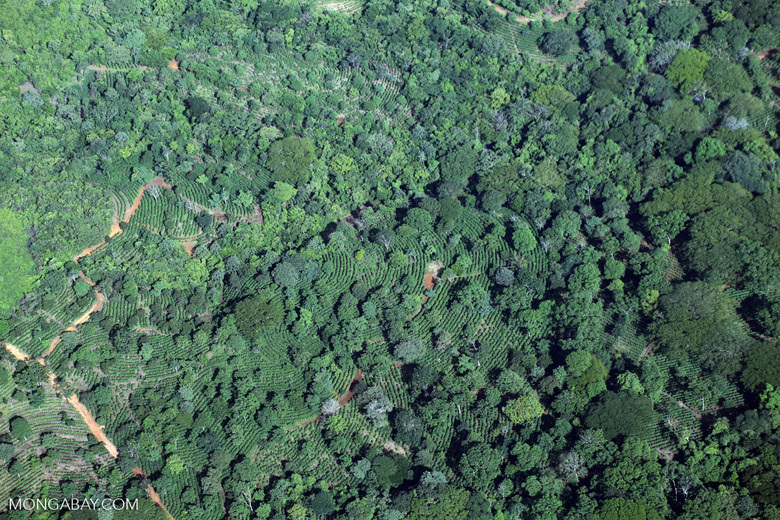 Mongabay: Cocoa is one of the rare commodities that hasn’t collapsed price-wise over the past year, potentially increasing pressure on forests in some parts of the world, like the Peruvian Amazon. Is Rainforest Alliance responding to this issue? Nigel Sizer: We are working with some of the largest buyers and producers of cocoa to continue to expand certification of smallholder production. A new version of the SAN is about to be released and will be finalized this year. This revision will strengthen that standard. Rainforest Alliance is very engaged with the market to drive demand for certified cocoa under SAN. We are particularly active in Sulawesi and West Africa, bringing more small holders into the system. Certification results in better soil management, reduced use of chemicals, more organic fertilizers, and expansion of tree cover. An important area is providing finance to cocoa smallholders to improve the quality of planting, which increases productivity, resulting in higher yields and incomes, without requiring more chemicals. We are looking for ways to use financing mechanisms to encourage more sustainability among smallholders. Mongabay: Despite a steep decline in the price of palm oil, large areas of forest are still being chopped down for oil palm plantations. What is Rainforest Alliance doing in this space? Nigel Sizer: The issues with palm oil are very similar to cocoa. We have a team working on palm and we expect to expand this program in Indonesia. The piece that is our focus in the palm oil sector is how to bring more smallholders into sustainable production and get that production into global commodity supply chains. It requires bringing in finance by ensuring funds flow back to smallholders. We’re building on our experience with coffee, cacao, and other commodities. Mongabay: REDD+ got a boost last year with the Paris Agreement. 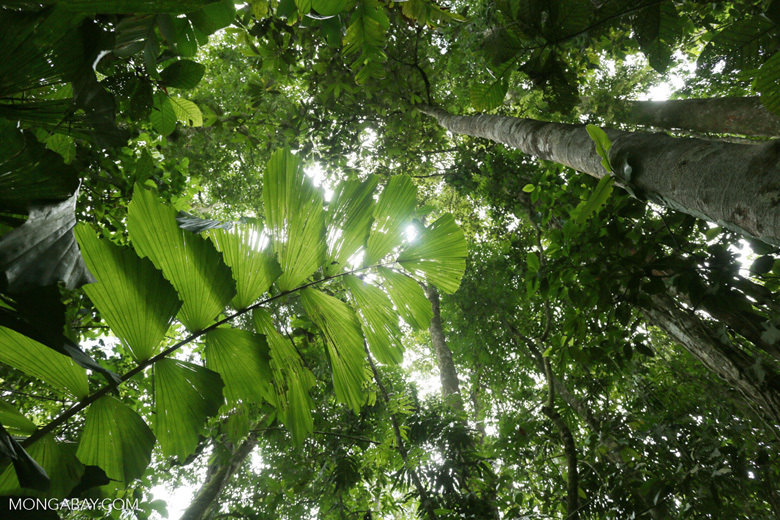 Is Rainforest Alliance scaling its forest carbon work? Nigel Sizer: Rainforest Alliance is involved with REDD+ via the Verified Carbon Standard (VCS) and a number of projects around the world. Where I see this being most interesting is at the landscape level where there are mosaics of land use including forest management, coffee, palm oil, cocoa, and other commodities. Carbon payments could provide an incentive flowing back to smallholders on top of a certification incentive. This incentive could encourage both reducing deforestation and forest restoration across commodity-producing landscapes. What’s really exciting is the opportunity to drive as much money as possible back to smallholders as an incentive to continue the journey toward sustainability and also to help create prosperous farmers where currently they live in poverty. Mongabay: Thinking globally and drawing on your three decades of experience working in the tropics, what policies have been highly successful at reducing deforestation? Nigel Sizer: Stepping back, protected areas have been very important strategy. But protected areas are only part of the solution. Rainforest Alliance is very committed to community management of forests and landscapes. Data from our flagship initiative in the Peten [Guatemala] shows much lower rates of forest loss in community-managed forests. Recognizing the rights of indigenous people to manage forests has been a successful approach and needs to be greatly expanded. Third party quality assurance is also important. This includes mechanisms like FSC and SAN as well as tools like Global Forest Watch to ensure accountability by both companies that have made commitments and those outside the system. Connecting consumers to the conversation on how commodities are produced can cause companies to change their behavior. 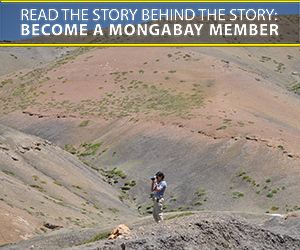 Mongabay: What do you see at the biggest obstacle to moving toward more sustainable landscapes? What will it take to end deforestation? Nigel Sizer: Biggest obstacle is governance – as it relates to the ways in which decisions are made, agencies working at different scales cooperate and coordinate, land and resource rights are appropriately recognized, companies and governments are held properly accountable for their actions, and information is shared. Rainforest Alliance has made and will continue to make major contributions on these fronts.